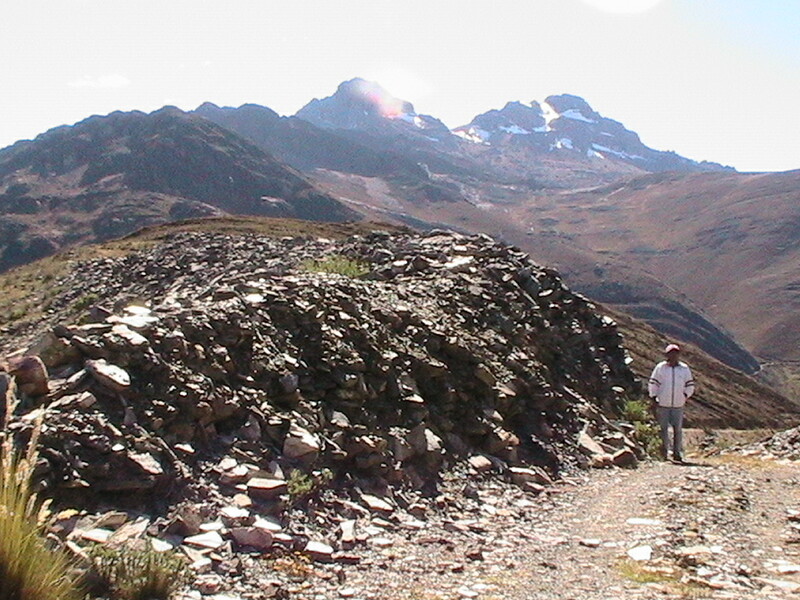 Innumerable are the vestiges of great hydraulic works that often cross the Andes carrying water from one basin to the other (transfer), with better agricultural possibilities or potential: soil, climatic, adaptation of species, among other aspects. 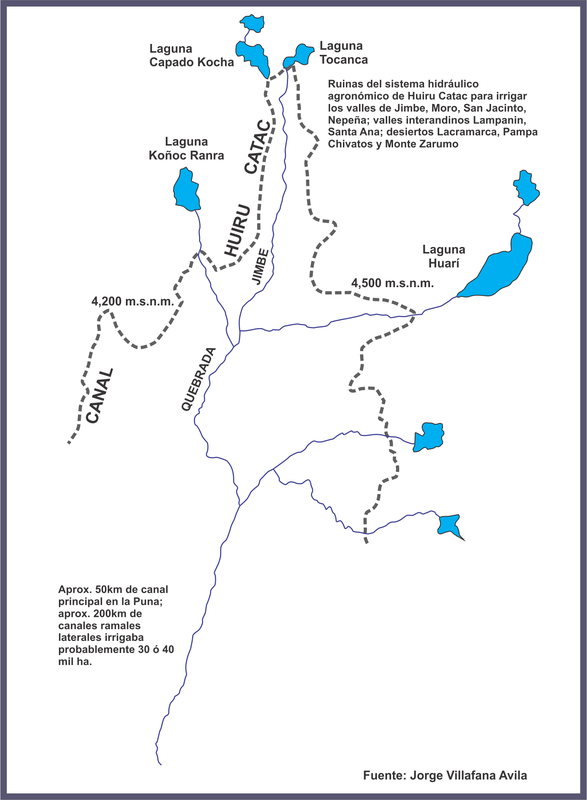 A living example is the Huiru Catac Irrigation System, located in the high part of the Nepeña River Basin in the district of Huayles in Ancash, where through a system of interconnected lagoons (Coñoc Ranra, Capado Cocha, Tocanca among others), united by the Huiu Catac canal for more than 10 km, according to scholar Dr. Jorge Villafana Avila, carry the water from the Nepeña River Basin to the Santa Lacramarca River Basin. This canal is emblematic because it represents the unification of the Andes with the coast by the veins of rivers that carry life to desert zones. This system is waiting to be rediscovered to show the world its majesty, and upon showcasing thus revealing the ingenuity of our hydraulic ancestors.